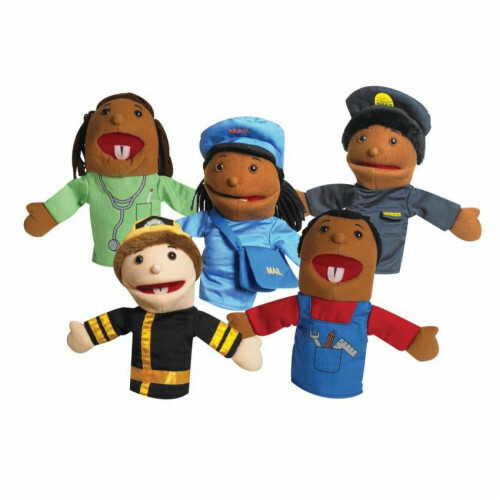 Product Description Dressed in bright and primary colors the puppets have yarn hair and soft clothes and skin. Increase children’s cognitive skills with the this puppet set. Puppets can be surface washed.